Should Your dog be eating a Grain Free Dog Food? Or, Should you change your dog food to one with Grains? 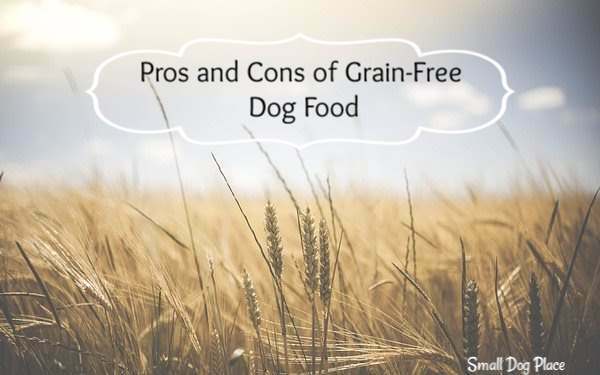 There is much debate about grain free dog foods from owners who love these foods to those that suggest that all grains are fine and should be a natural part of a healthy dog diet, period, end of debate. While both sides are digging in with their respective opinions, a new development has spread like wildfire over the internet. The debate has gotten even worse after the FDA issued a warning to dog parents and veterinarians that they had found a link between dogs who ate foods high in peas, lentils, potatoes, and other grain legumes and canine dilated cardiomyopathy (DCM). These ingredients are typically found in grain free dog foods. It is no wonder that the average pet owner is confused. Consider the arguments in favor of a grain free dog food. Some pet owners, according to Lorie Huston, DVM, want a dog food that imitates their own human diet. In recent years people have chosen a grain free or gluten free diet for themselves and the pet food manufacturers have created these formulas for dogs because they know that people will find them attractive and purchase them. It is true that dogs can have allergies to certain foods and often these allergies are manifested with skin irritations such as itchiness, hot spots, and skin irritations. The most common grains used in dog foods are corn, wheat, soy, and white rice. They are cheap and they can provide an extra amount of plant-based protein. Protein is very important in the canine diet. This is important for dog food manufacturers to show on the label that they have adequate protein. What does all of this mean to you? Look at a dog food label with a high protein percentage? Looks great, doesn't it? But look a little closer and you'll find that the food high in protein actually contains plant based protein such as found in corn and wheat, with little in the way of actual animal protein such as chicken, beef, or fish, the type of protein needed most by dogs. Many of these cheap grains that fill up our dog's diet are also high on the Glycemic Index (GI), an index that rates ingredients by how quickly and how high they can cause blood sugar levels to rise. High GI carbohydrates can produce a chronic inflammatory response in the body which can lead to obesity, diabetes, heart disease, arthritis, and cancer. Some foods have been found to cause some intolerance or sensitivities (not allergies). Food tolerances or sensitivities tend to build up over time leading to problems that are often misdiagnosed such as GI problems and skin allergies, which may end up being the fault of the food your dog eats. You end up feeding more of these grain filed foods because they do give the dog a quick burst of energy but it does not last throughout the day, which means your dog is hungry and ready to eat again. This can lead to obesity. Grain-free dog foods often have more concentrated energy sources. They contain a higher standard of protein and fat that comes from animal sources. These types of foods can meet the dog’s needs in smaller quantities, so you tend to use less food. Grains, like corn or wheat, can activate food sensitivities in some dogs. Choosing a grain-free dog food prevents this from happening. Why Not Serve Wheat to Your Dog? Wheat is a low-cost source of protein, as opposed to say Bison or Salmon. Gluten is the sticky protein found in wheat and it has been known to create havoc in people especially sensitive to it. Celiac disease in humans, (sensitivity to gluten) causes gas, bloating, and diarrhea and can lead to a low-grade autoimmunity that can cause inflammation throughout the body. Experts are seeing the same effect in some dogs. Soy in moderation is not a bad thing. Soy is used in dog food as a source of protein bumping up the protein percentage. "High levels of the pesticide, RoundUp were found in GMO soybeans"
"The soybean contains large quantities of natural toxins or ‘antinutrients.’ which can cause problems in many organ systems of the body"
“Soy interferes with the thyroid gland’s ability to make T4 (thyroxine) and (T3) tri-iodothyronine, hormones necessary for normal thyroid function." Any one of these issues would scare me, how about you? Corn is not a bad ingredient per se. In fact, it can be beneficial. It provides protein, a necessary ingredient in the canine diet. It also serves as an easily digestible carbohydrate which is a key energy source. It also contains linoleic acid, an omega 6 fatty acid, which is necessary for healthy skin, coat and immune system. Corn also contains vitamin E and beta-carotene which also supports a healthy immune system. So, why the fuss about corn? Beyond what was written above about soy and wheat, corn can contain contaminants that can put dogs at risk. The corn we eat that is fresh, canned or frozen, is not the same corn that goes into dog food. Rather, the cheapest feed grade corn is used in dog foods, the same feed that is used for livestock. The corn could be contaminated with mycotoxins. Dog foods with corn as the first ingredient may be high in protein but that protein is plant based, not a healthy animal based protein. Animal based protein is far superior to plant based in the canine diet. So, is Grain Free Dog Food Better for Your Dog? There are some real benefits to a grain free dog food. In the wild, dogs were scavengers, finding carcasses that contained meat and stomach contents. They devoured it all getting the meat protein and plant material that may have been in the stomach of the dead animal. In this way, a grain free diet is closer to the dog’s ancestors diet. However, it should be noted that dogs no more eat the kinds of food their ancestors did 15,000 years ago then people eat the caveman's diet. For that matter, people eat very differently today than their grand or great grandparents did 50 or 75 years ago. The dog eats less of the food for the same amount of nutrients, which may be a good choice for overweight dogs. With the dog eating less, the cost to feed may be less. The food could be safer without contaminants and ingredients that could lead to allergies. Without the grains, the food may contain healthy vegetables and fruits to make up the carbohydrate percentage. Grain free dog foods are generally more expensive than those with grains. Usually, if the food is grain free, the absences of the grains mean that other foods are substituted which may be healthier to the dog such as vegetables and fruits. But as the study done by the FDA suggests, substitutes often include peas, potatoes, lentils and grain legumes which correlates with higher incidence of canine dilated cardiomyopathy (CDM). According to Linda Case MS, Canine Dilated Cardiomyopathy is a disorder "characterized by weakening of the heart muscle, which leads to a decreased ability of the heart to pmp and if untreated, to cardiac failure." What is often unwritten about this problem on well-meaning websites is the fact that the study found a significant number of dogs with the DCM also had lower levels of circulating taurine, an amino acid. Statistically speaking there was a correlation between dogs with DCM, a lower level or taurine and the consumption of a grain free dog food. This does not mean one caused the other. Put simply, there is a connection, but one does not cause the other. Taurine is routinely provided in cat food because it is considered an essential amino acid, meaning that cats cannot synthesize their own. Dogs, on the other hand were thought to be capable of making this amino acid on their own from two other amino acids, methionine and cysteine. It turns out that some breeds are prone to taurine deficiency due to their inability to make taurine or the loss of it in the feces. Large dog breeds seem to be more at risk than small dogs. The list of ingredients often found in grain free dog food are substitutes for the typical grains added to foods that contain grains. This is a common practice in a wide range of dog foods that are grain free. At the time of this writing, no conclusions have been made and more research is needed. If your dog is doing well on a grain free dog food, but you are worried about the possibility of CDM, our best recommendation is to talk to your veterinarian. Just as much care should go into choosing a grain free dog food as it would be for accepting any food. Not all formulas are perfect for all dogs. Look at the ingredient list, especially the first 6 or 7 ingredients. You should see at least one if not more protein sources that come from animals or fish. Pick one that substitutes grains for fruits and vegetables. If your small dog is a picky eater, you might find that grain free diets are much more palatable. Choose one that uses food sources that are farmed, caught, or raised on ranches nearby such as in Canada or the U.S.A.
Look at the company’s track record for food recalls. It is worthwhile looking into a grain free diet. Please not however, that if a food allergy exists, it could be due to something other than grains. Remember, A grain free dog food does not mean that the dog is eating a carbohydrate free diet. That would be equally unhealthy. Dogs like people need a decent amount of carbohydrates for energy and fiber in their diets to maintain digestive health. Check with your dog's veterinarian before making any decisions about dog food. 2. Carlotti DN, Remy I, Prost C. Food allergy in dogs and cats. A review and report of 43 cases. Vet Dermatol 1990;1:55-62. This article is accurate and true to the best of the author’s knowledge. 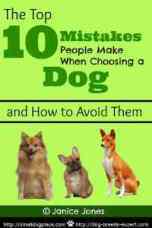 No advice on this website is meant to substitute for a diagnosis, treatment or advice from a veterinarian. Dogs showing symptoms of distress or illness should be seen by a veterinarian immediately. 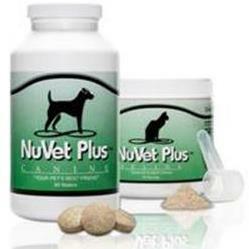 Want to Learn More About Dog Nutrition? There are quite a few resources on the internet but I'd like to introduce you to a couple of books that I have read and found very helpful. Canine Nutrigenomics by W. Jean Dodds and Diana R. Laverdure takes an entirely new look at the science of canine nutrition. Don't let the name of the book scare you, as the authors break down the subject matter in easy to understand chunks of knowledge. This is a very useful guide if your dog is also suffering from a life threatening condition that can be helped through the food he eats.